Bangkok, Thailand – Thailand is preparing for its first election since 2014’s military coup, but with a system designed to weaken political parties and ensure the military’s continuing role, few expect the vote to resolve divisions that have plagued the country for two decades. Nearly 52 million Thais are eligible to vote in the March 24 polls, which will be the first under the new constitution that was drawn up by the military. Early voting began throughout the country on Sunday. “I don’t think this election will take Thailand back to a liberal democracy because the constitution allows the military to continue to hold power,” said Titipol Phakdeewanich, a political scientist at the University of Ubon Ratchathani in Thailand’s east. To win power, a party must secure a majority in both the houses of parliament. In the lower house, 350 members will be directly elected, with the remaining 150 awarded according to each party’s popularity in the polls. The 250-seat upper house will be appointed entirely by the armed forces. That means, while most parties will need to get 376 seats to secure power, the pro-military party Phalang Pracharat might only need to secure only 126. Thailand has struggled to overcome deep-rooted political divisions since 2001, when telecommunications tycoon Thaksin Shinawatra rode to power promising to help the country’s rural poor. Thaksin’s rise electrified Thais who had long felt neglected, but it also sent shockwaves through the old guard centred around Bangkok’s elite who had long dominated the country’s politics. Even with Thaksin and his sister, Yingluck Shinawatra, exiled amid allegations of corruption, parties aligned with the family have won every election in the country over the past two decades. “No matter who wins, Thailand will likely remain in political crisis,” Josh Kurlantzick, a senior fellow at the Council on Foreign Relations in Washington wrote in an update on the elections last month. Instability is what the military has used to justify the numerous coups – at least 13 – it has staged since the absolute monarchy came to an end in 1932. Bringing order to chaos was the reason the military under General Prayuth Chan-ocha gave for overthrowing the popularly elected government of Pheu Thai under Yingluck. That coup came after months of turmoil on the streets of Bangkok between Pheu Thai supporters, and those bitterly opposed to the Shinawatras and their brand of populist politics, in itself a continuation of the colour-coded protests that first emerged under Thaksin and led to the coup against him in 2006. After taking over in 2014, the military set themselves up as the National Council for Peace and Order helmed by General Prayuth, outlawing political activity and cracking down on peaceful opposition to martial rule or criticism of its policies. The NCPO then began drafting a new constitution – the 20th in modern Thailand – giving the military six seats in the unelected upper house, strengthening the Constitutional Court, and adopting a system of proportional voting designed to break the hold of the larger parties. After securing public backing in a referendum in August 2016, the constitution was signed into law by King Maha Vajiralongkorn, who took over as monarch after the death of his father, the revered King Bhumibol Adulyadej. He will be officially crowned in May a few days before the election’s official results are announced. “We are actually inventing a whole new system,” said Termsak Chalermpalanupap, head of the Thailand programme at the ISEAS-Yusof Ishak Institute in Singapore. Nearly 80 parties and more than 2,700 candidates will be competing for votes in the polls. Some seven million people will be voting for the first time. The big names include the pro-military Palang Pracharat and the anti-military Pheu Thai and Future Forward, a new party led by car parts tycoon Thanthorn Juangroongruangkit. But there are also other, mostly smaller, parties that have positioned themselves more neutrally. Pheu Thai remains popular in the rural heartlands in the country’s northeast that make up its power base, while the more establishment orientated parties continue to have the backing of the elite and middle class in Bangkok. Many voters are concerned about the economy – Southeast Asia’s second-biggest, but sluggish under military rule – and startling levels of wealth inequality. Still, candidates and politicians continue to contend with laws, including lese majeste and the Computer Crimes Act, which can make it risky to speak out or even campaign. At the end of February, a Cyber Security Act was added to the authorities’ arsenal, allowing access to computer data and networks. Thai Raksa Chart, a spin-off of Pheu Thai, was dissolved last month and its leading members banned from politics for 10 years by the Constitutional Court after the party announced Princess Ubolratana Rajakanya as its candidate for prime minister. The princess gave up her royal titles when she married an American in 1972 and had carved out a career for herself as an actress and television host since returning to the country. But her candidacy broke the tradition that royalty should not get involved in politics. In a statement, the king, her younger brother, described her candidacy as “inappropriate”. 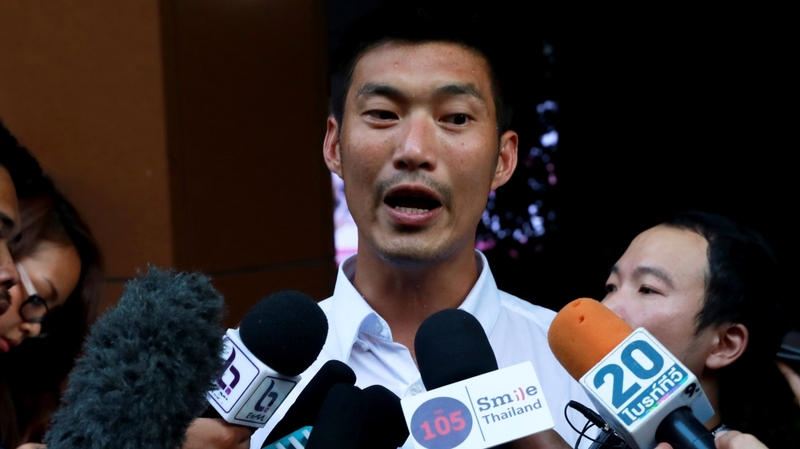 Meanwhile, Future Forward’s leader Thanathorn Juangroongruangkit and other party executives face the prospect of criminal charges after the election over comments criticising the military that were posted on Facebook last year. As campaigning enters its final week, some 52 legislators from around the region have urged the military government to lift restrictions on freedom of speech and expression. “A true democracy depends on people being able to form an opinion without fear of retaliation or repercussion, something that is just not possible in Thailand today,” Charles Santiago, a member of the Malaysian parliament and chair of ASEAN Parliamentarians for Human Rights.